5x8mm Jet Sliperit Zoliduo Beads Right Side Version, two hole comma or paisley shaped Czech pressed glass beads. 30 beads. 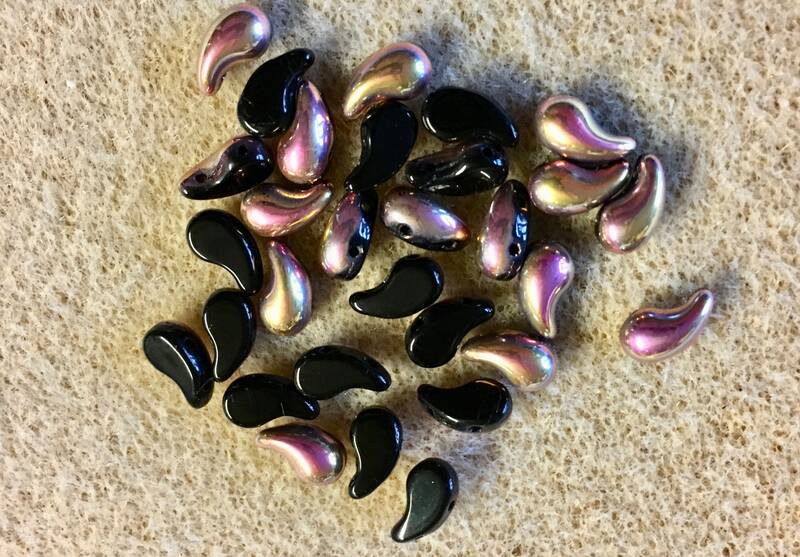 These beads are black on the back side and have a fantastic pink/gold finish on the right side. The back side is flat. Note: The ZoliDuo bead comes in 2 versions - left and right. Please make sure you are ordering the bead with the orientation you desire.